Tory Burch asked me to spend three weekends in November last year painting on their beautiful leather handbags and customise them for customers walking in and buying on the day. I was slightly nervous about painting onto peoples expensive and beautiful bags but once I got into the swing of it I loved every minute! 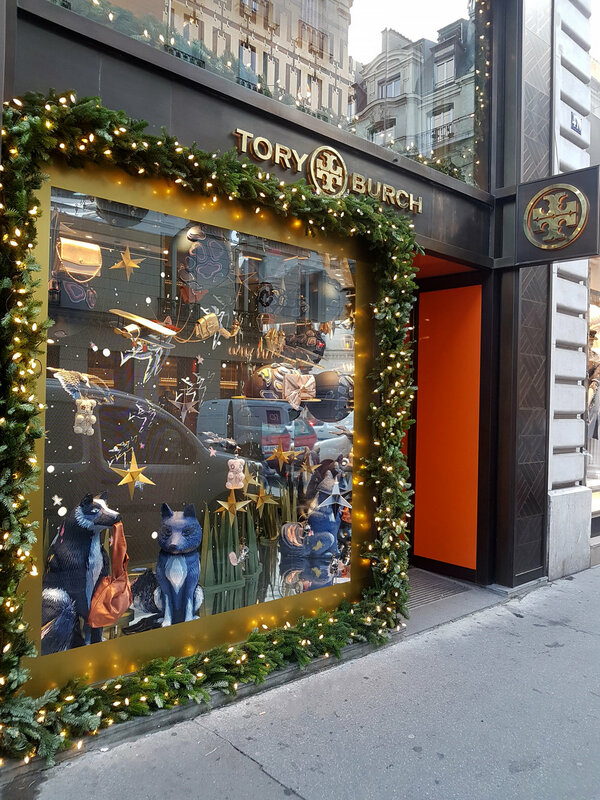 I was asked to sit in three of Tory Burch’s beautiful stores in London, Milan and Paris, (so even got to travel a little which was fun!) each store was stunning and beautiful but each had it’s own distinct style. I sat in store amongst all the luxury handbags, clothes and shoes, (feeling slightly out of my comfort zone…) but It didn’t take long to realise that everyone working for Tory Burch are just so lovely and friendly they made me feel like one of the team and I felt like I’d been there always. Customers were lovely too, always happy to chat and see what it was doing, as well as being so lovely and complimentary about my painting. They had a selection of 10 designs to choose from, 2 species of hummingbird, a beetle, a dragonfly, a peacock and 5 different species of dog. Designs would take me around 20-30 minutes each to paint. Painting directly onto the leather was a joy! It took the paint so well and the colours really popped, details never got lost either, It was genuinely a pleasure. The favourite was definitely the Anna’s Hummingbird, (my favourite too!) but there were lots of Dragonflies requested as well, which would you choose? As a new experience of live painting in front of the customer onto luxury Handbags I can honestly say I loved it! Hopefully I get more projects like this in the future.